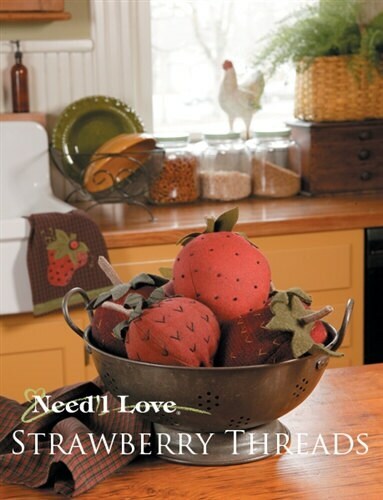 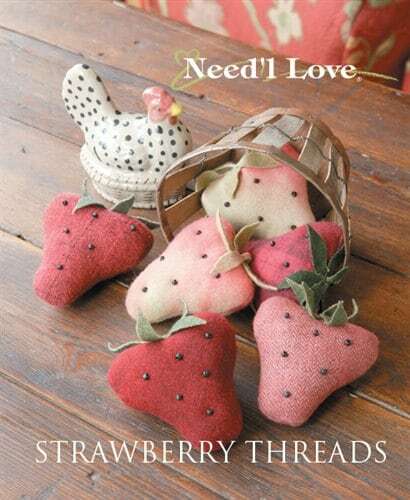 Strawberry Threads project book by Need'l Love Designs is full of beautiful wool and quilt applique projects! 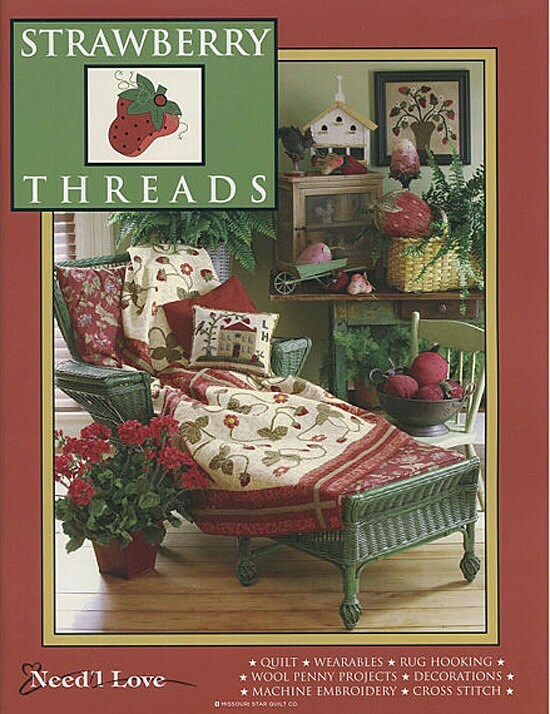 There are 44 full-color pages. 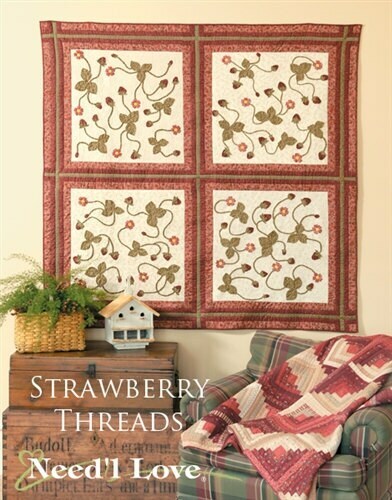 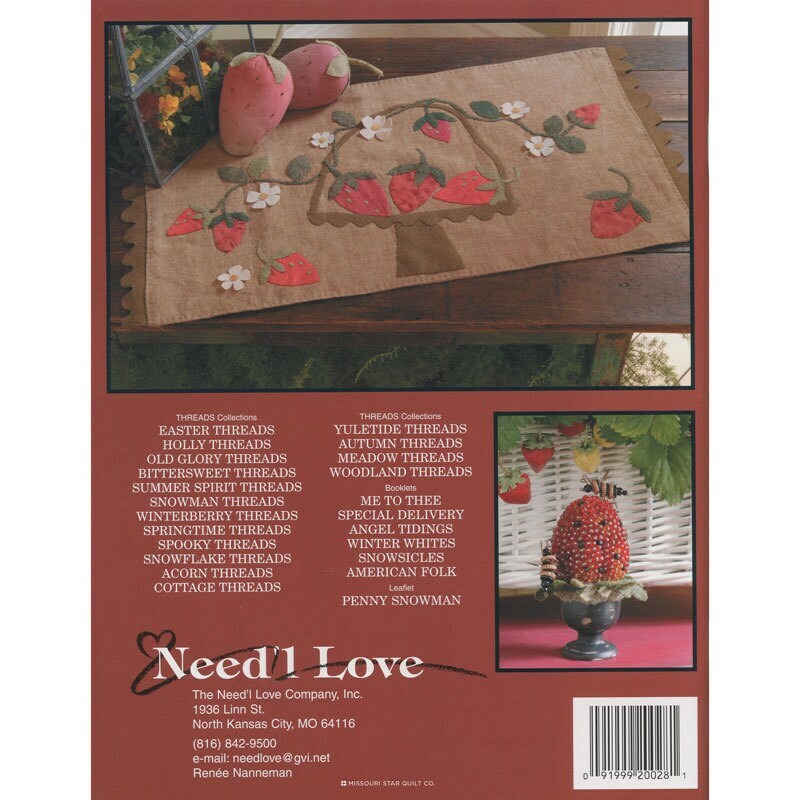 Strawberries herald the summer season in… a rug hooked strawberry pillow, strawberry stuffables, strawberry beaded pincushion, strawberry motifs featured on applique towels, cross stitched pictures, jewelry, table runners and wearables!